Some of the absolute best knives on the market are made by Spyderco. If you’re in the market for a new knife, you probably already know that. Whether you’re looking for self-defense knives or every-day carry knives, there are plenty of Spyderco knives to pick from. There are many benefits to carrying a personal knife. Most importantly, personal knives are great to help you tackle any sort of task whether you’re working around the house, hunting, or walking the streets of Manhattan. The keys to a great knife are size, weight and design. Let me show you which Spyderco knives are best. 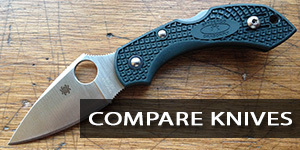 But first, here are some quick facts about Spyderco Knives. The company started out as passion project. The founder, Sal Glesser, started the company in 1976. In the beginning, he was living in a motorhome and traveling to trade shows. Because of his useful knives and knife sharpeners, he quickly settled in Golden, Colorado where Spyderco knives are still made today. Sal claims that they were the first company to add a pocket-clip to the side of the knife handle. This surely made everyday carry knives a lot more popular. Since then, Spyderco has teamed up with many different knife companies and self-defense gurus to manufacture the best knives for everyday use. The Spyderco Tenacious may just be the best EDC knife on the market, and the critics seem to agree with me. 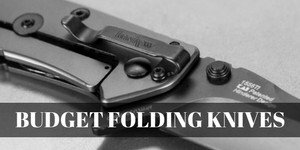 You can get a ton of use out of this medium sized folding knife. Not only will it stand up to whatever job you have for it, but it looks sleek and elegant as well, boasting a black blade with a black handle. This is one of the best selling all-purpose knives on the planet. The Spyderco Endura 4 is great because of its pure versatility. You can use this lightweight knife for cooking, hunting, camping and even gardening. Knife lovers praise this piece of equipment as one of the most game-changing knives on the market. When it was released in 1990, there was nothing like it. That’s because Sal Glesser designs his knives to work, not to look pretty. The Delica 4 is the closest living relative to the Endura 4. The main difference between these two knives the blade shape. The Delica is a leaf-blade, making it better for everyday use than for self-defense. The leaf-blade design also means it’s slightly smaller, making it easier to carry in any sort of jeans or pants. When you buy the Spyderco Delica 4, you can rely on it being sharp enough to shave with right out of the box. This is one of my all time favorite knives. If you know anything about Spyderco, you know that this is arguably their most iconic knife (along with the Tenacious). This knife was originally designed to withstand being a often used tool and weapon in the military. At 4”, this is one of the longer blades you’ll find in EDC knives. The longer the blade, the better it is for self-defense. The Resilience is the blade that you want if you’re looking for something big. The blade is the longest in the Spyderco EDC collection - at 4.25”. That comes with a weight to match - 5.4 ounces. That’s over double some of the other blades on this list. Obviously, this is the best on the list for self-defense. Can you really pick just one? There you have it! These are my top five knives made by the iconic Spyderco. If you’re looking for a knife to carry around in case you need a sharp tool - you can’t go wrong with any of these knives. On the other hand, if you’re looking to run around some rough parts of the world - you may want to consider the original Military for self defense. Spyderco has a great reputation, and only makes great knives. So whichever one you decide on, you’re bound to be happy with your choice.